You know how sometimes, everyone has something, so you resist getting one for no good reason other than principle? And then it goes on crazy-sale at J.Crew and you decide to just test the waters and see why everyone was going so crazy. And the minute you slip on the chambray shirt, you get it? Totally not talking about myself here. Well, no matter. 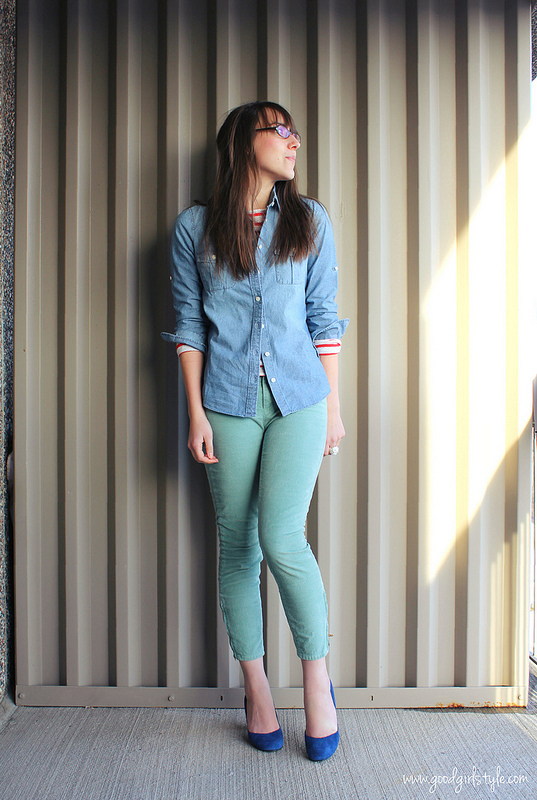 I jumped on the chambray shirt bandwagon, my friends, and boy am I sure glad! I have no doubt you'll be seeing this shirt a lot. And if you might have happened to be like me, uneasy about why everyone was going crazy over a denim shirt, don't worry. It's absolutely wonderful, I promise. 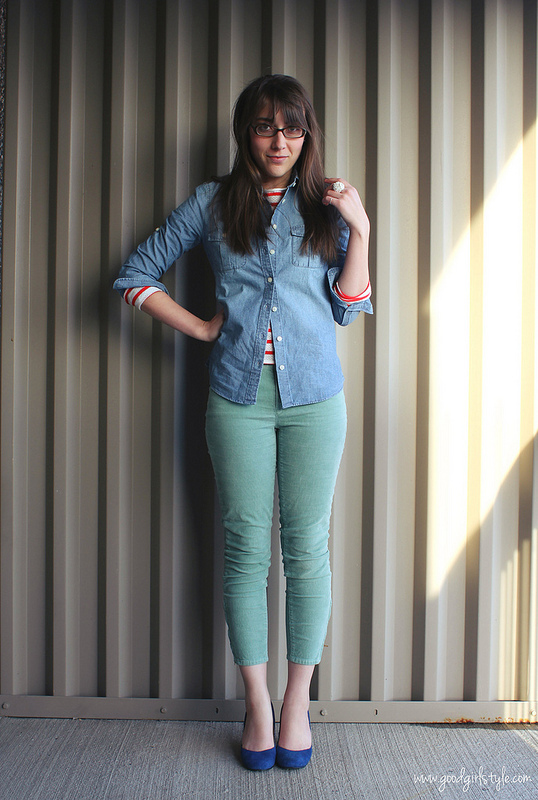 And while I'm reppin' J.Crew just 'cause, this outfit definitely reminds me of something out of their catalogue. 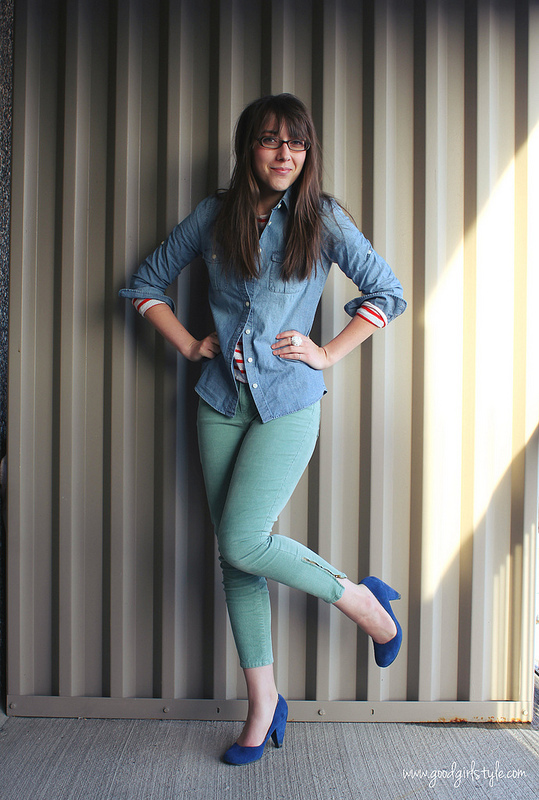 Stripes, chambray, glasses, a giant cocktail ring, ankle-zip cords, and bright blue suede pumps? That has J.Crew-bandwagon written allllllll over it.